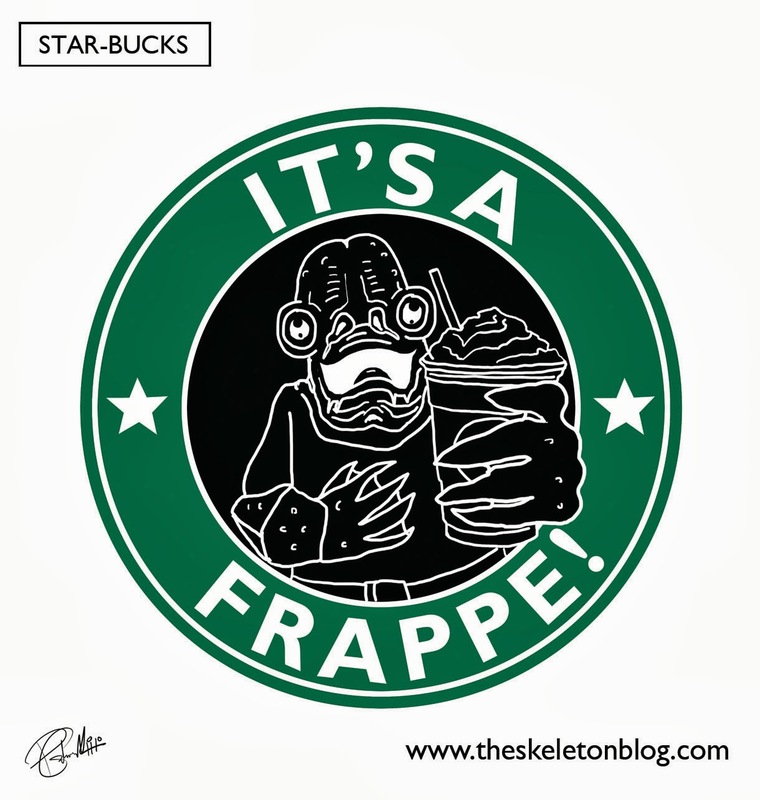 Yoda has a shameful deal with vodaphone so it's only right that Admiral Ackbar has whored himself to Star-Bucks (star-bucks star-wars get it? huh? I'm hilarious). Admiral Ackbar is one of my favourite star-wars creatures as he's a giant lobster. A GIANT LOBSTER! And not only is he a giant lobster, he has managed to rise through the ranks and become an admiral! People said it couldn't be done, people said the galaxy wasn't ready for an arthropod admiral, people had their prejudices but now who's laughing. Admiral Ackbar thats who. Laughing with a multimillion alliance credit (space dollars?) 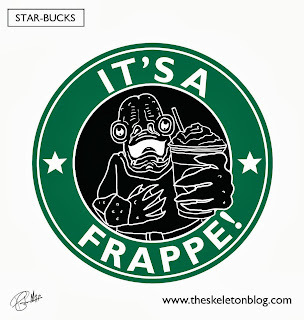 deal with Star-Bucks!